Tag Archives for " small business metrics "
Now, while terms like measurement and management might seem like big company jargon, the fact is you can’t successfully grow a business unless you track what works and what doesn’t work. I guess I should add you can grow a business without metrics a lot like you can win at roulette from time to time. The question is what is not measuring costing you in terms of wasted money and lost opportunity? 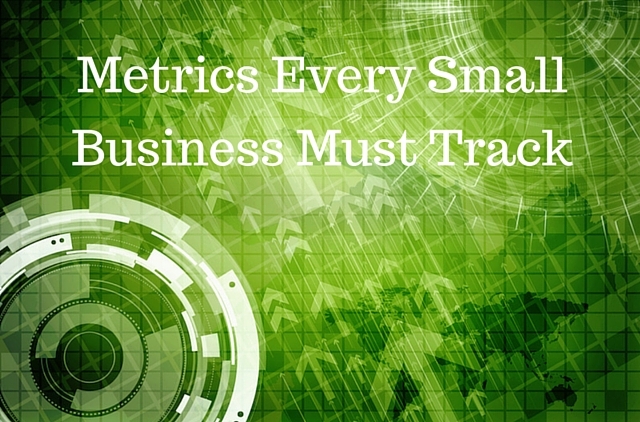 There’s an entire industry built around data measurement, tracking, and intelligence. 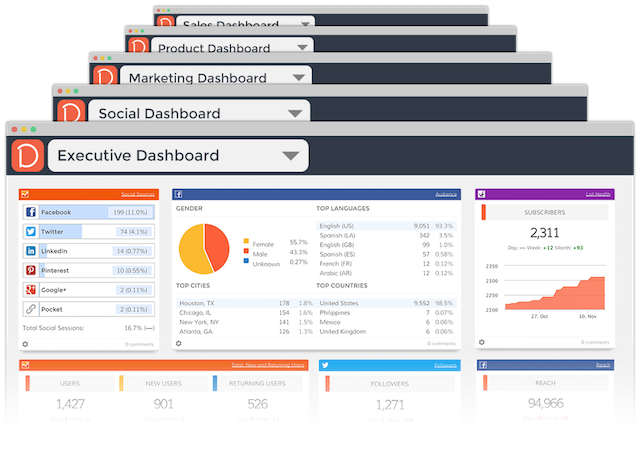 New tools aimed at making analytics for small business owners and marketing a snap come to life seemingly daily. And while tools are awesome until you fully understand what you should track and why it’s hard to gain the benefit of any tool – no matter how wonderful the website makes it sound. Oh, and I should add – this takes work, and I wish I could tell you there is one tool that will do all of this for you, but as of yet I have not found it! This is perhaps the metric category that is most understood – if only in rudimentary ways. The traditional accounting world isn’t much help here, and many of the tracking tools built for this world only tend to confuse. Sales – This isn’t very telling on it’s own, but you certainly need to know if sales are up or down. I also believe in sales projections, a lot like goal setting, as a driver of growth. Profit – Too many business owners view profit as enough money to pay themselves, which of course, is a job. If you ever want to sell your business, you need to think about how to show 15% profit after you pay yourself. That’s number straight from Crabtree, but I love it. Expense – This, of course, is a big piece of the profit number, but it’s also a place to look for waste. I suspect many businesses could afford to pay someone to work on this number exclusively and come out ahead. Cash Flow – When you can no longer balance cash demands and expenses in your head, you better rely on a weekly cash flow report. Productivity – Profit per labor dollar is a critical measurement if you can find it. It’s a great deal like cost to acquire a new client. If you can get very good at these two KPIs, you’ll always know what you can spend of marketing and labor. Go here to grab some highly useful spreadsheet templates from Simple Numbers. There’s a lot going out there in the many channels small business owners and marketers find themselves, and it’s very helpful to use tools that help you keep track of marketing related metrics. This is a space that’s getting crowded, but I like Dasheroo (I’m an advisor) and Cyfe and, if you want to pay to sync offline stuff, Domo. Don’t forget a lot of this data can be had with free tools like Google Analytics, Facebook Insights, and Twitter Analytics. Below are the scorecard metrics I like to keep tabs on. Overall traffic – This doesn’t mean that much, but I still like to keep this number in mind as a starting point for both my sites and those of my clients. Social community – If you’re spending time building your social presence and engagement you’ll want to keep track of these efforts, even if you’re simply tracking follower growth. In Google Analytics, you can find a useful set of reports through Acquisition > Social > Landing Pages. The tools mentioned above excel at delivering this kind of report in a much more digestible format. Keyword report – Organic traffic comes from ranking for keyword phrases, and the only way to improve ranking is to track it. Google no longer delivers this info so you’ll probably need to seek out a tool like ahrefs of Moz to get good data here. Email performance – No matter if you use Mailchimp, AWeber, Constant Contact or Infusionsoft you need to grow your email list and grow your email list conversions. The best way to do that is keep close tabs on list growth, open rates, and click-through rates. Most email service providers produce these reports, and increasingly dashboard makers are integrating with the ESPs. I suppose I should start and end here because this the point of it all – figuring our what turns a prospect into a client – but you’ve got to build the foundation metrics before you can get to this. Understand that many things are a conversion, not just a sale. When you get this, you start to realize that your goal here is to figure out how to guide prospects and visitors on the journey they want to take. With that in mind, a conversion is an email sign-up, a form completion, a registration, a request for information, an appointment and yes a click on the buy link. You must get very good at understanding how people move through your website and your business, where they bog down and what makes them abandon the path. There are some very powerful and relatively inexpensive solutions for this, but the free Google Analytics is pretty good at this. Goals – The first step in conversion measurement is to define what a conversion looks like. For example signing up for your newsletter might be the first conversion goal while attending a webinar might be another important conversion goal. Whether you are using an all in one tool like Kissmetrics or Mixpanel or the free Google Analytics tool, you’ll start here. Conversion funnels – The way to bring more power to the process is to hook goals together like a traditional sales funnel. All of the tools above allow you to design a conversion funnel that links several actions or groups of actions together so you can gauge how many people move from one stage to the next and more importantly where they fall off. This allows you to zero in on one element with a fix in mind. Research – I suppose this isn’t a metric per se, but don’t skip the research step. Lots of people see something isn’t working and assume the just need to test something new. A key component of conversion testing is understanding why something isn’t working. Using a tool like Hotjar you might be able to see where people abandon your forms so you can address how to fix them. CRM role – Many CRM tools today can automatically measure progress and score leads and visitors by the actions they take, such as visiting a landing page or filling out a form. Hubspot and Active Campaign are built with this activity in mind. There are many reasons to keep tabs on competitors, not the least of which is you might learn a thing or two from them. Here again, there are many tools that provide competitive research. Tools like SEMRush and MOZ can give you lots of information about SEO and SEM – things like keyword ranking, backlinks, and even AdWords spend. I also rely heavily on a service called RivalIQ. RivalIQ produces very nice reports that show you how you stack up with some basic SEO and SEM, but where it shines is in comparing social networks, social content, and social engagement. Understanding how your content performs is crucial if you are going to understand how to make it perform better. Understanding how others people content performs, including your competitors is one of the keys to ramping up your content. Understanding how the most shared content performs and why is how you make content marketing a key weapon in your marketing arsenal. BuzzSumo is essentially a search engine that tracks how content is shared and how it performs. On top of that is can show you who shares what content and who links to what content. You can find content ideas, influencers, and guest post opportunities using this powerful tool. This kind of information can prove very useful and differs significantly by industry and business type. So yes, I know, it was a lot of work just to read this far, but guess what – it’s a lot of work for your competitors to set up and track what they are doing so there’s a pretty good chance that measurement just might be the competitive advantage you’re looking for. The good news is that once you set everything up once and figure out the reporting you need, it gets a lot easier to run your business. If this seems like a monumental project then pay someone to set it for you – it might be the best money you ever spend.